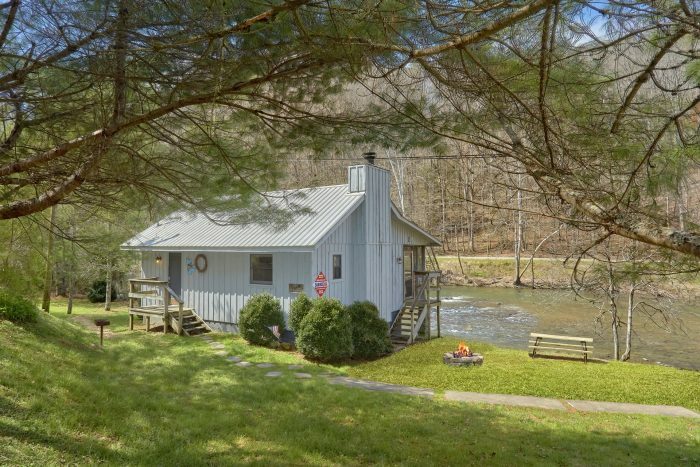 Welcome to "River Cabin," a romantic 1 bedroom studio cabin located on a beautiful riverside location in the Richardson Cove area of the Smoky Mountains. 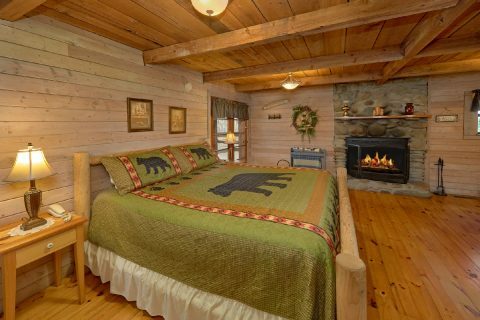 With room to comfortably accommodate up to 2 guests, this log cabin is ideal for couples visiting the Smoky Mountains. With this cabin's peaceful riverside location, you'll find it easy to relax during your stay as you listen to the sounds of the river flowing. This cabin's deck even boasts a nice view that overlooks the water and there's even an outdoor fire pit in the yard! 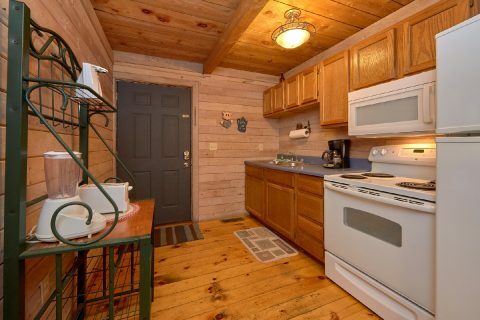 When you aren't relaxing in your log cabin, you'll have a great time exploring nearby Pigeon Forge and Gatlinburg which are only a short drive away. 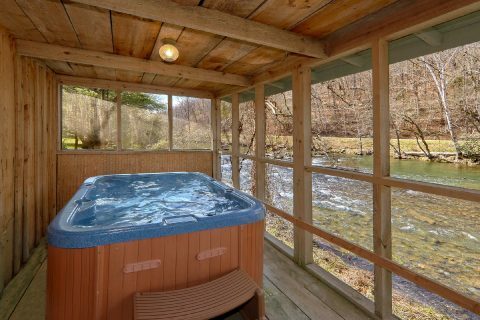 Additionally, this honeymoon cabin is only minutes away from the Greenbrier area of the Great Smoky Mountains National Park, a region that's famous for its waterfalls, historic structures, and hiking trails. 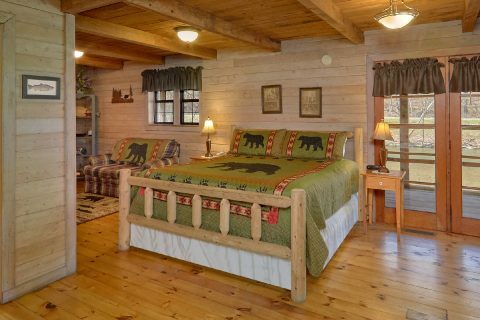 After a great day spent exploring the Smokies, you can look forward to unwinding in this cozy cabin that has everything you need to relax. 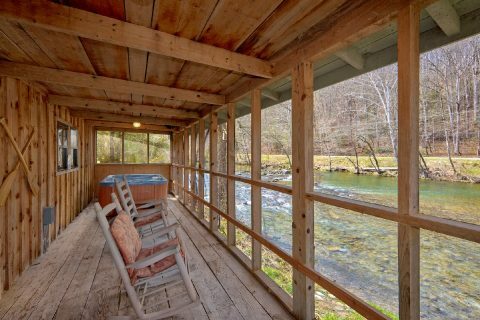 On your cabin's enclosed back deck, you can rest your weary muscles while you kick back in the bubbling waters of the hot tub. 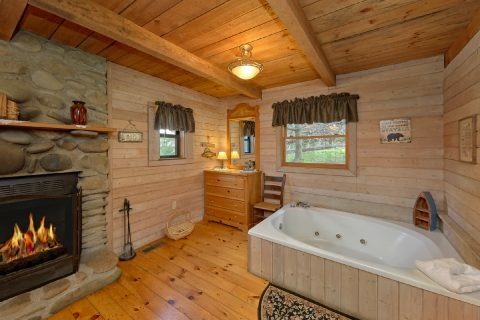 For a relaxing soak in privacy, your cabin also provides an in-room jacuzzi tub. With your cabin's wood-burning fireplace, you can enjoy a romantic evening by the fireside. 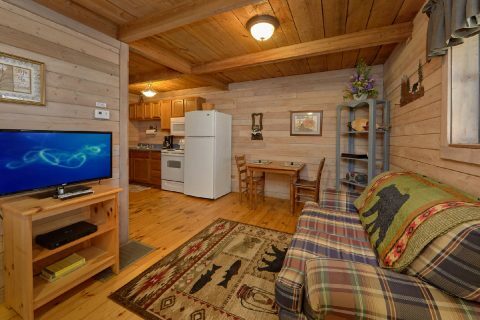 This cabin's living room also provides a television, so you can enjoy a nice movie night during your stay. 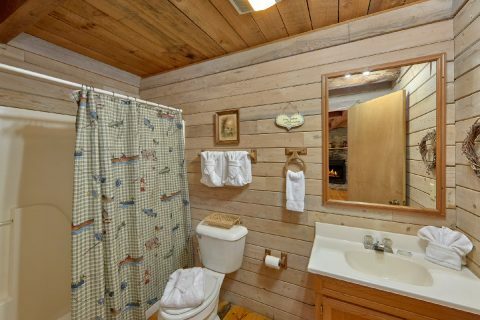 For getting a good night's rest, this cabin provides a king-size bedroom with a full bath. This cabin also features practical amenities to use during your stay like the fully equipped kitchen and charcoal grill. 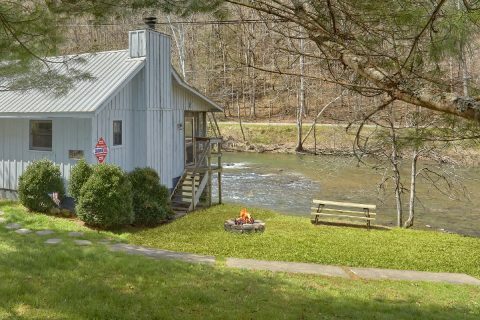 Book this cabin with a nice spot on the river today with Cabins USA Gatlinburg to start planning a fantastic honeymoon or romantic getaway in the Smoky Mountains! Best of all, you can save 15% on your nightly rate with our special cabin discount!